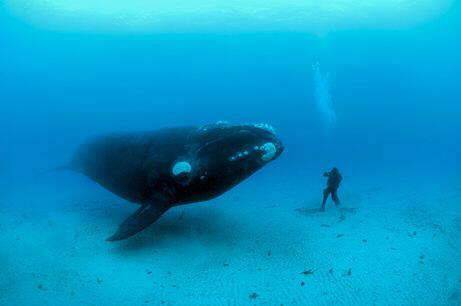 Man and right whale size each other up in the winner of the 2008 Wildlife Photographer of the Year competition' s underwater category, announced on October 30. "The whales were highly curious of us. 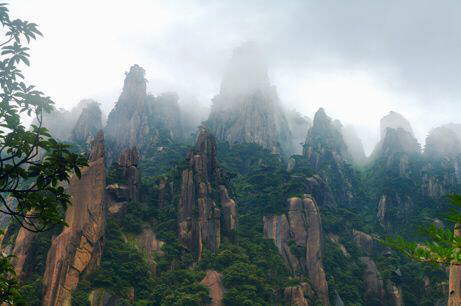 Many of these animals had never seen a human before," Skerry told National Geographic. 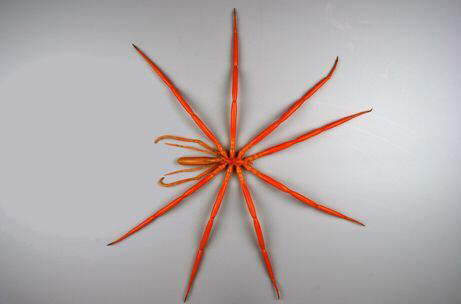 Collected from deep Antarctic seas, this 9.8-inch-long (25-centimeter- long) giant sea spider was one of 30,000 animals--many new to science--found during a 35-day census in early 2008 and featured in a National Geographic News gallery on March 28. Other odd discoveries included a balloon-like sea squirt and giant starfish. Under intense magnification, a long-fin squid's suckers--each no wider than a human hair--resemble the leafy star of Little Shop of Horrors. 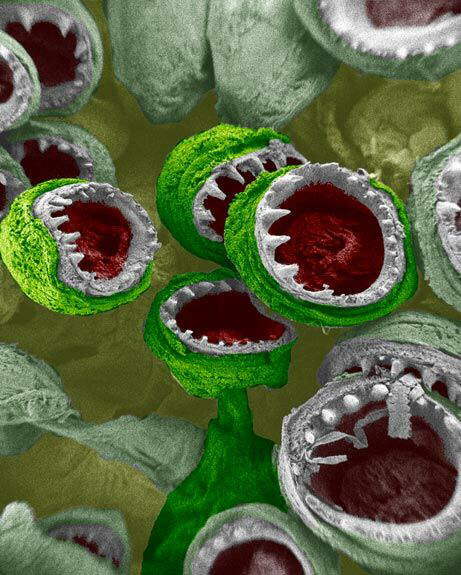 This electron-micrograph image may have only won an honorable mention in the 2008 International Science and Engineering Visualization Challenge, but thanks to enthusiastic bloggers, these suckers were the breakout stars of National Geographic News's gallery of the contest's highlights, posted on September 25. Among the other marquee attractions: a bugged-out take on the Mad Hatter's tea party and a "glass forest." 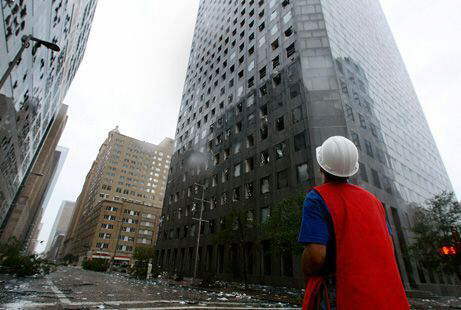 On Sept. 13 a worker inspects damage in front of the JPMorgan Chase Tower in downtown Houston, Texas, after powerful Hurricane Ike slammed into the Gulf Coast, damaging buildings, flooding streets, and knocking out power for millions of people.With winds reaching 110 miles (177 kilometers) an hour, Ike came ashore above Galveston, Texas, as a strong Category 2 storm just after 3 a.m. ET. 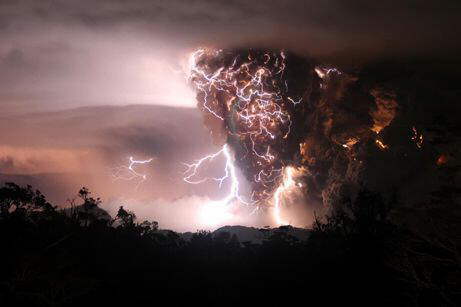 After 9,000 years of silence, Chile's Chaiten volcano erupted, generating on May 3 what may have been a "dirty thunderstorm. " These little-understood storms may be caused when rock fragments, ash, and ice particles collide to produce static charges--just as ice particles collide to create charges in regular thunderstorms. The eruption, which continued off and on for months, forced the evacuation of thousands of residents and cattle from this corner of Patagonia. 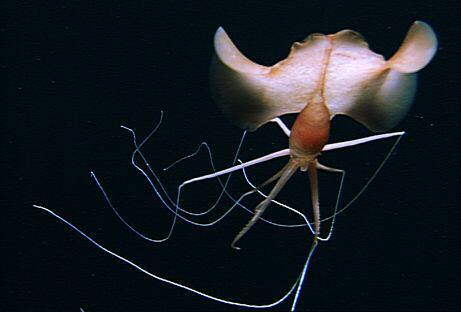 A mile and a half (two and a half kilometers) underwater, this alien-like, long-armed, and--strangest of all--"elbowed" Magnapinna squid is seen in a still from a video clip obtained by National Geographic News from and published on Nov. 24. The carcass of a colossal squid floats in a tank at the Museum of New Zealand on April 30, giving scientists their first close look at the elusive deep-sea creature. 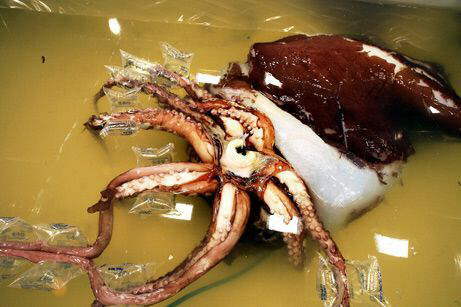 The squid was frozen for months after being caught by fishers off Antarctica in 2007. A dissection of the thawed beast yielded astonishing discoveries, including the animal kingdom's largest eyes and light-emitting organs that may serve as cloaking devices, scientists said. 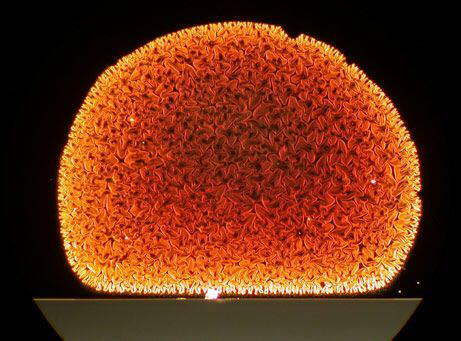 Glowing-hot carbon nanotubes form an expanding orange ball in this winning image from the 2008 Small World photomicrography competition, sponsored by Nikon and featured in an October 15 National Geographic News gallery. In nine other masterworks of magnification, a beetle danced on a pin, and drugs yielded crystal rainbows. 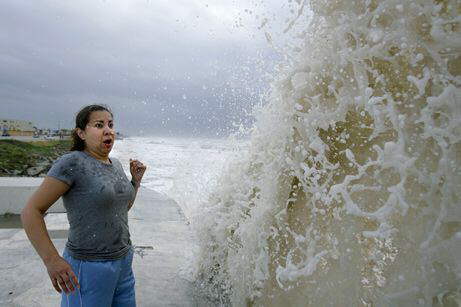 Sylvia Renteria recoils as a wave churned by Hurricane Ike meets a seawall in Galveston, Texas, on Sept. 12. Before landfall, the National Weather Service's chilling warnings of "certain death" spurred officials and residents of the coastal town to gird for the worst--and stoked fears of a replay of the devastating 1900 Galveston hurricane that killed 6,000.